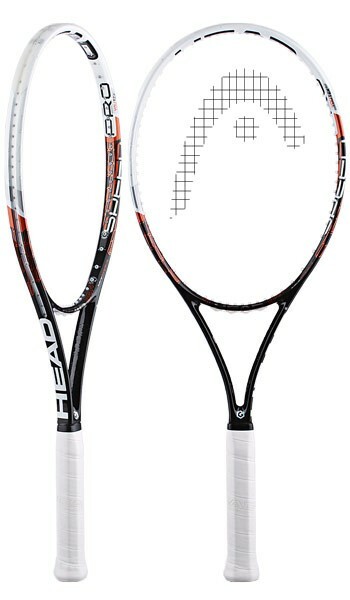 Novak Djokovic's racquet of choice, the Head YOUTEK Graphene Speed Pro replaces the IG Speed 18x20. Like its predecessor, this one has a tight 18x20 string pattern which supplies maximum directional control on every stroke. From the baseline the Head YOUTEK Graphene Speed Pro is perfect for aggressive play. The biggest swings exit the stringbed with remarkable precision. Players with flatter strokes will enjoy how easily they can impose their will with pace and placement. Despite the tight pattern of the Head YOUTEK Graphene Speed Pro, spin artists will be more than satisfied. Thanks to the low-powered precision of the stringbed of the Head YOUTEK Graphene Speed Pro, the player can easily reach the swing speed needed for heavy spin. With the Head YOUTEK Graphene Speed Pro's maneuverable feel, we have found this to be a very spin-friendly racquet thanks to the easy access to high swing speeds. The directional control of the Head YOUTEK Graphene Speed Pro is a huge asset when attacking the net where strong intermediate and advanced players will appreciate the blend of maneuverability, stability and control. Ease of placement on serves from the Head YOUTEK Graphene Speed Pro leads to aggressive targeting. Powerful swings with the Head YOUTEK Graphene Speed Pro are rewarded with heavy action on slices and kickers. The Head YOUTEK Graphene Speed Pro is also a great weapon for the player who likes to crank flat bombs on serve. All in all, the Head YOUTEK Graphene Speed Pro is a must demo for aggressive players or consistent grinders looking for exceptional responsiveness and world-class control. The Head YOUTEK Graphene Speed Pro is now avaiable in India. Free shipping is available for Delhi, Bangalore, Chennai, Hyderabad and all locations in India.